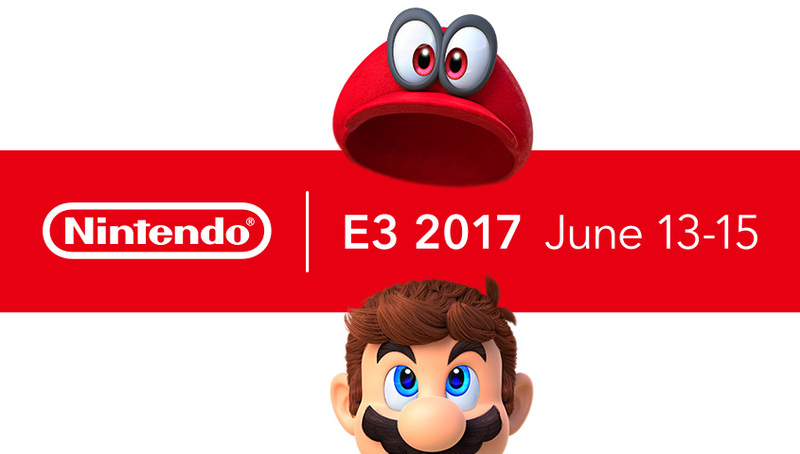 Nintendo rounded off with the final E3 conference. 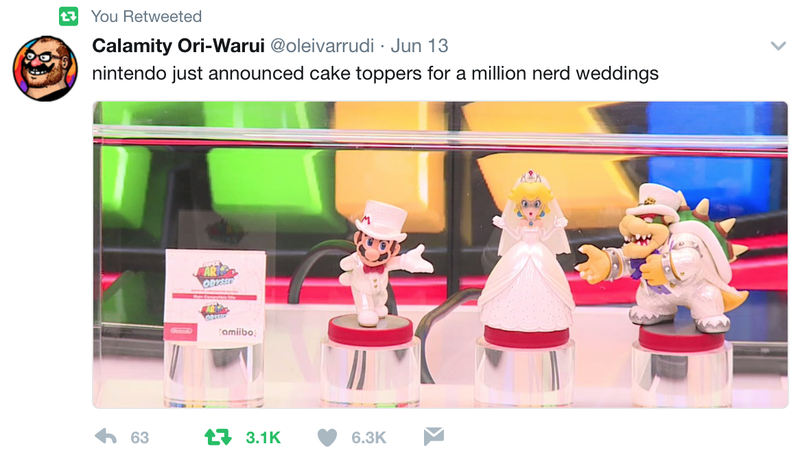 I do love Nintendo, and I'm glad that they were able to impress, really. 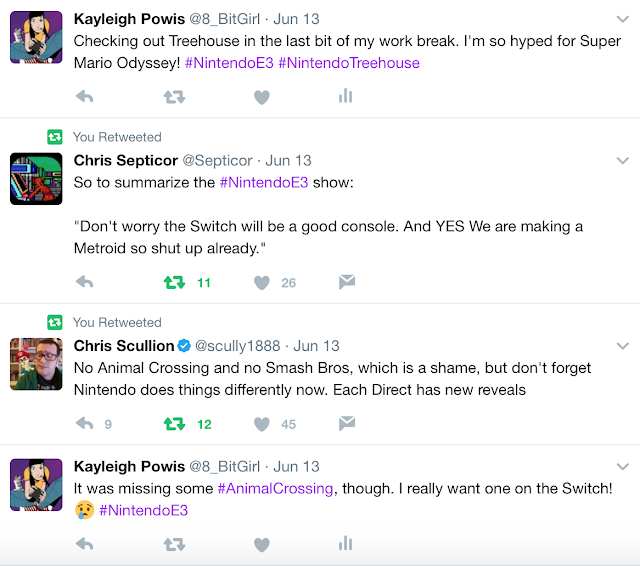 The Switch is a great system, and deserves to do well. We don't want another forgotten console, like the Wii U! 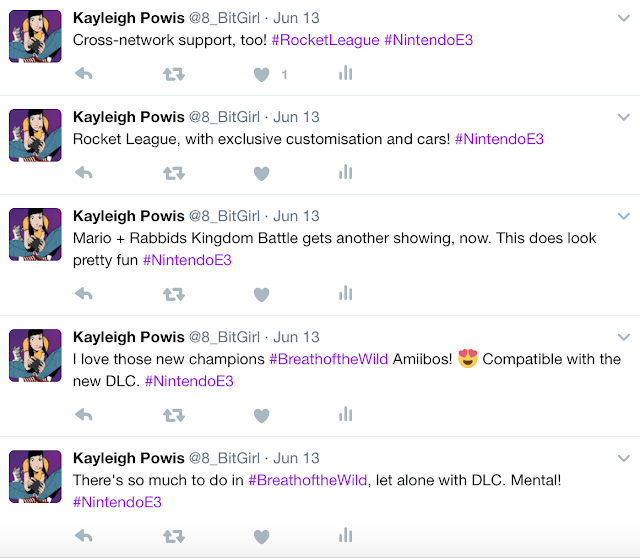 During E3 2017, I tweeted my thoughts, reactions and other bits and pieces. 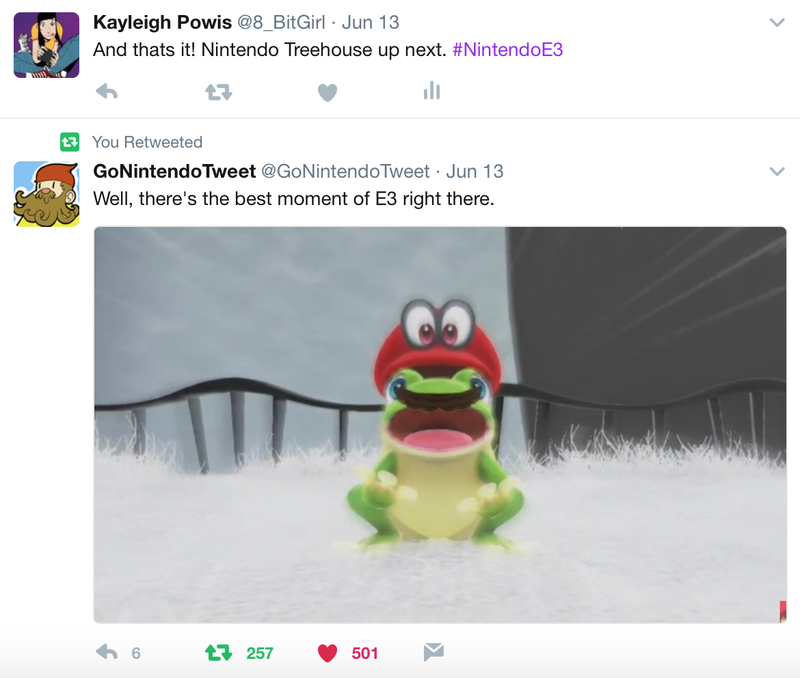 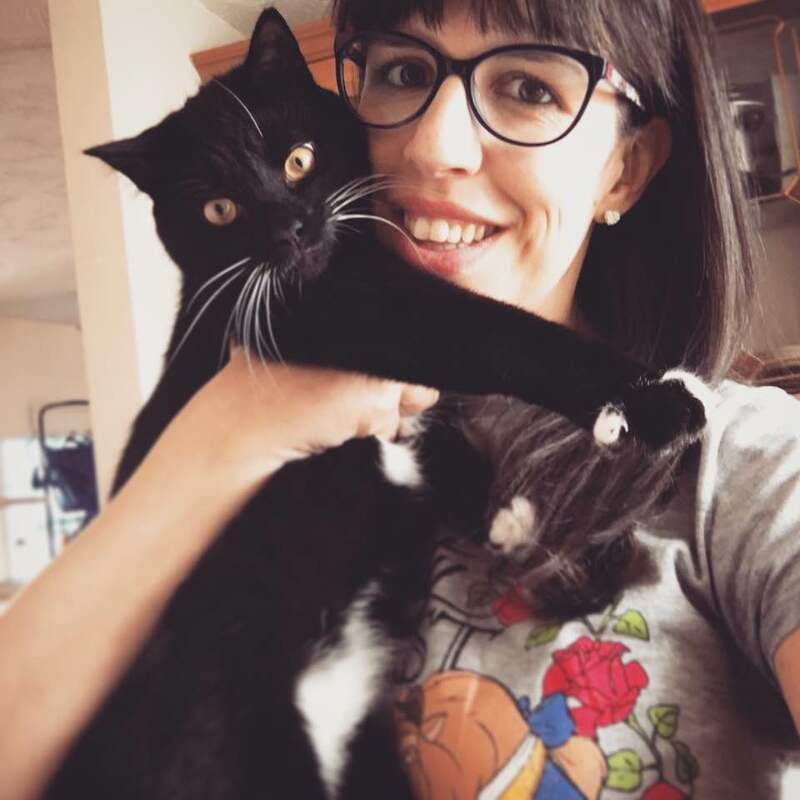 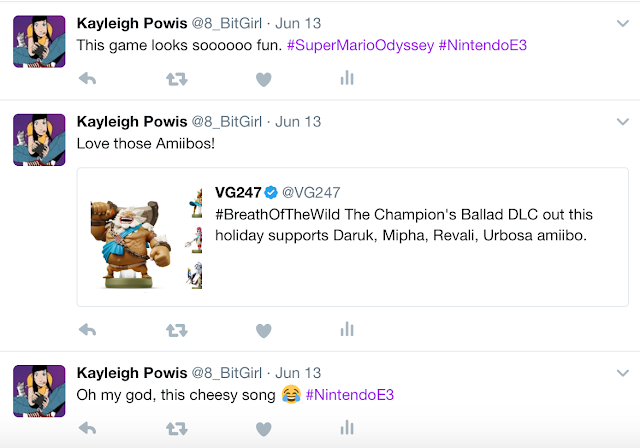 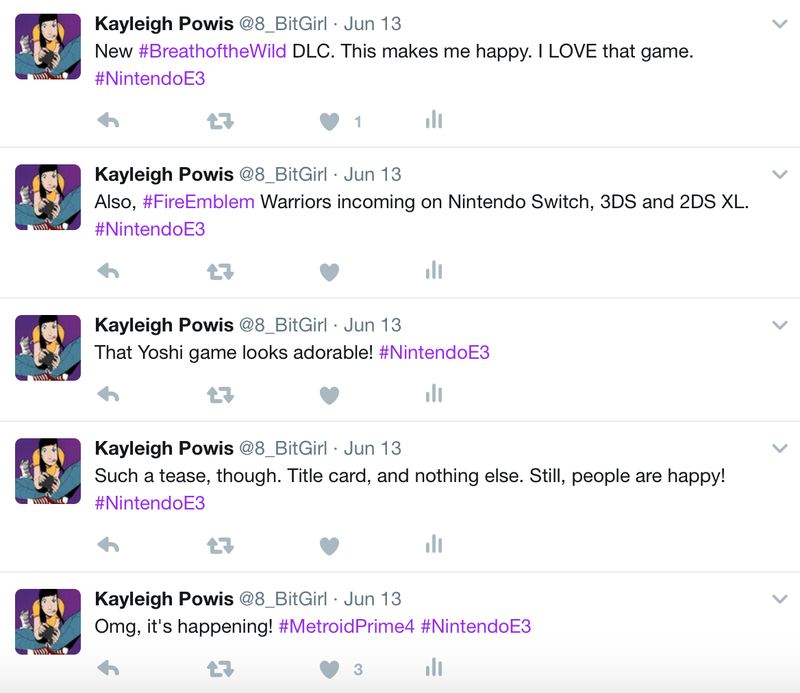 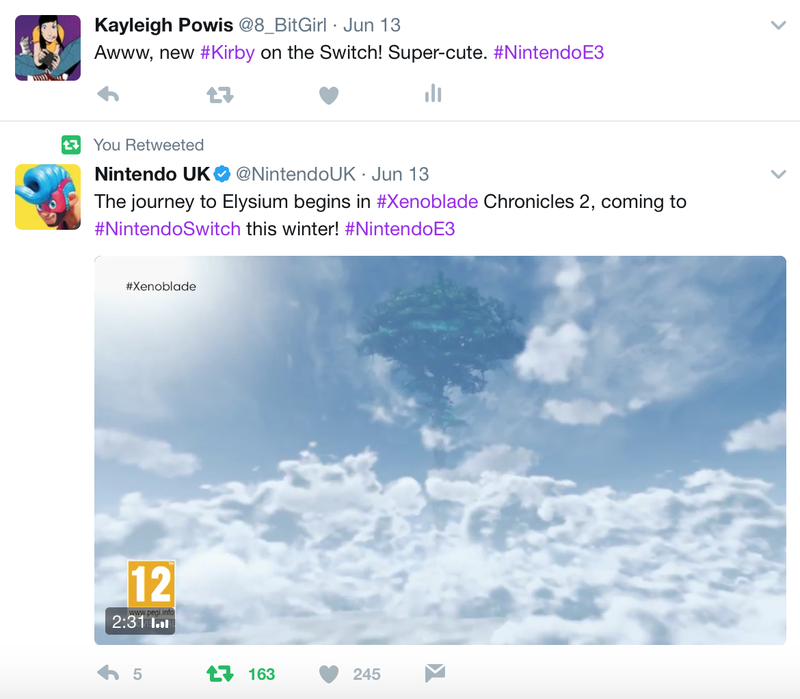 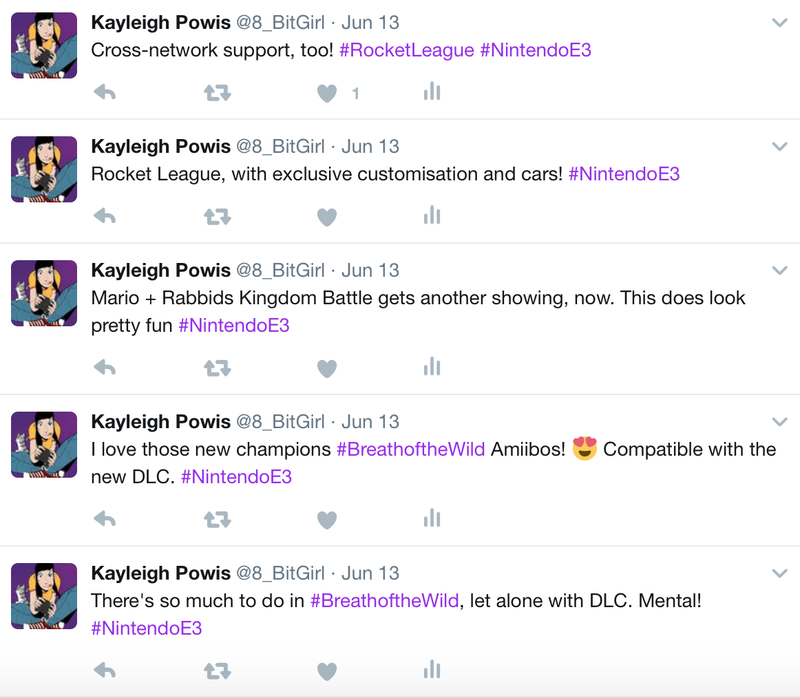 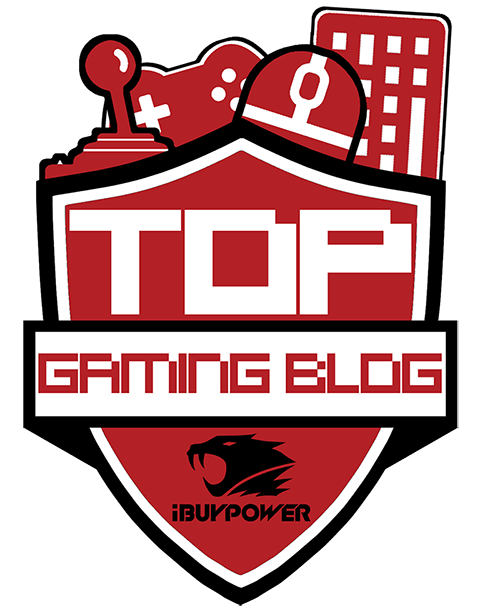 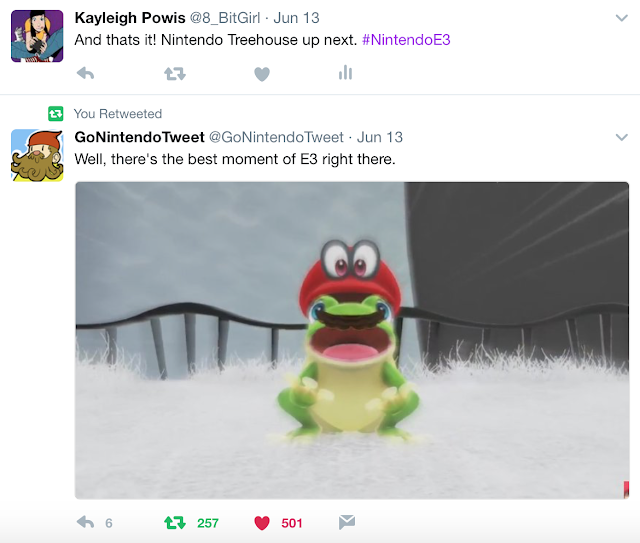 I've been collecting each conference up in separate blogs here, so here's all the tweets I posted (or re-tweeted) about Nintendo.